Australia’s summer is one of the harshest in the world. At its worst, survival is nearly impossible for many plants and animals (and on a 40-degree day it’s pretty hard for most humans too). Gardening in an Australian summer is a real struggle for most plants so extra attention must be paid to certain risks that will pop up. We here at United Nurseries understand the challenge of caring for flowers in Summer, so for Australia Day, we’ve prepared some summer tips and tricks for both the newest and most experienced gardener. -Mildew’s and Don’ts – Watering in the morning is always ideal because when plants don’t have enough time to dry at night, potential for mildew and fungi increases. If you’re ever worried mildew might be starting on one of your plants, put a bit of watered milk in a spray water bottle and spray the susceptible flowers once a week. 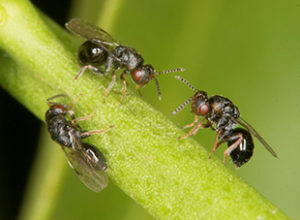 -Summer of Pests – The warmer weather can be just enough to bring Australian pests out to play. The citrus gall wasp is another prominent pest in Australia, that usually infects lemon and lime trees. To catch it in its tracks, look out for any swelling on the young shoots, and then remove the branch before the infection can spread. Mosquitoes are another of the great pests the frequent the Australian backyard. Firstly check if there is any collections of water around like open drains or pot plants because they can be a breeding ground for mozzies. If nothing shows up, don’t reach straight for the chemicals, try a plant that naturally repels mosquitoes. 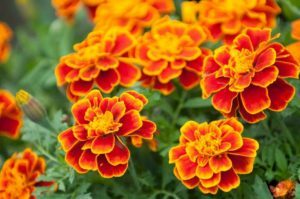 United Nurseries grows several plants that are great for keeping mozzies away such as, lemon balm, basil, mint, garlic, pennyroyal, rosemary and a selection of marigolds. -The Silent Killer – Robbing soil of nitrogen and moisture, summer weeds are some of the nastiest things plaguing the Australian landscape. Remember, prevention is easier than eradication so it’s best to stay on the safe side and try and stop the introduction of weeds before they appear. Make sure you pay attention to any seeds, livestock or vehicles being introduced to a property. -Hooray for Clay! – A fool proof way to keep moisture close to your plant is by using a clay-rich soil. It keeps the water evenly spread around the plant and can be a god send in the summer heat. Though it can be a double-edged sword, if raining, make sure there is plenty of drainage, otherwise the plant could get waterlogged. -Beating Overheating – Terracotta pots are very susceptible to overheating and while a common gardening tip is to put standing pots in a saucer of water to cool down the plant, it can often cause mosquito breeding and root rot. To cool down plants without the worries, leave a saucer full of sand underneath the pot and keep it moist whenever possible. -Repairing vs Replacing – Sometimes, if it hasn’t been looked after, a plant is not worth the effort to bring back from the dead. Using your better judgement, decide if it’s worth replacing a plant that’s worse for wear and that probably wouldn’t be able to make it through the summer period. There are plenty of plants with heat-hardy varieties that are more prepared to take on the summer heat such as cockscombs, marigolds and celosias, all of which are grown by United Nurseries! -Spray Everyway – For proper and equal growth you can’t just focus your water spray on one side or angle of the root of the plant. Plants need an equal distribution of water to have an equal distribution of growth. While avoiding the leaves give a healthy dose of water to the base of the plant while making sure not to drown it. -When You Have a Holiday, Your Plants Don’t! – A lot of gardener’s plan to go away over Summer and forget about the flowers they’ve just recently planted. Plants need plenty of attention and regular watering. 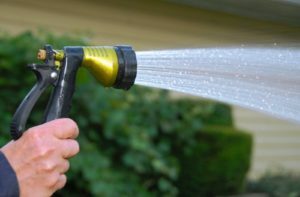 Try and arrange someone to water your plants while you’re away, or more advanced gardeners could even set up an automatic drip irrigation system to water your plants when you’re not there to. -It’s Summer for Your Plants AND You – We hope this tip sheet has told you all about some of the issues your plants will have to go through when dealing with the hot and dry conditions. Don’t forget the gardener is also out there too. Try and work when it’s cool and avoid the sunlight whenever possible. Put on a hat and plenty of sunscreen and remember that plants aren’t the only organism that needs water to survive.